Study Bachelor of Pharmaceutical Science, Bachelor of Pharmacy (Honours) at the University of South Australia (UniSA). Information for International students. This program is for students of the University of South Australia studying in the Bachelor of Pharmaceutical Science/Bachelor of Pharmacy double degree with a competitive GPA. Entry into this program is available only to students who have completed 72.0 units of either the IHPC or IBPA, have met the GPA requirement and are invited to apply. Study Australia’s only double degree in Pharmacy and Pharmaceutical Science and graduate with two qualifications. Study at one of the top five universities for national employment, student satisfaction and teaching quality in Pharmacy1. 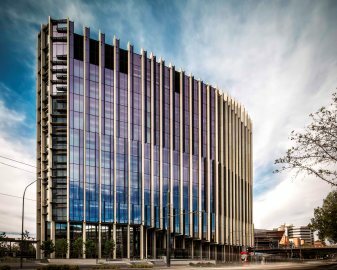 Study in UniSA's new $247 million state-of-the-art UniSA Cancer Research Institute. Learn in our on-campus, purpose-built pharmacy laboratories and pharmacy practice suite. Gain practical industry experience when you complete a field placement or an industry-focused research project under the supervision of an academic or staff member. Benefit from over 50 years’ experience in pharmacy education. Enjoy diverse employment opportunities and excellent job prospects in a rapidly growing industry. 1QILT: Graduate Outcomes Survey Course Experience Questionnaire 2016-18 – Full-time Employment, Overall Satisfaction and Teaching Quality Indicators (Undergraduate). Public SA-founded universities only. 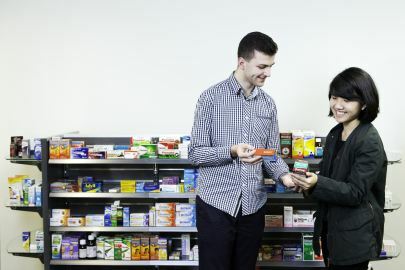 This double degree covers all aspects of the pharmaceutical industry, from drug discovery and development to commercialisation, marketing, product management and the distribution of medicines. Completion of this degree will broaden your career prospects. You will also gain an advanced understanding of drugs and their effects, and develop the practical skills and knowledge needed to provide advice and pharmacy care to consumers. You may also have the opportunity to gain valuable International industry experience, through study tours or overseas placements. You can enter this degree in two ways – by either commencing the Bachelor of Pharmaceutical Science or the Bachelor of Pharmacy (Honours). You must achieve a grade point average (GPA) of 5 or higher in your first two years to be eligible for entry. Students who undertake activities where interaction with patients/the public is required for their degree, such as field or clinical placements/visits and in University clinics and gyms, must demonstrate they meet mandatory pre-placement conditional requirements. These include criminal history clearance, child related employment clearance and immunisation requirements. Please visit the Clinical Placement Unit for information on key requirements, and to access the full student checklists. This double degree will equip you with the knowledge, expertise and practical skills needed to embark on a range of diverse roles in the ever-changing field of pharmacy and pharmaceutical science. You can enter this degree in two ways – by either commencing the Bachelor of Pharmaceutical Science or the Bachelor of Pharmacy (Honours). You will develop a strong understanding of drug product development, drug use in the community, trends and developments affecting drug formulation in the future. You will also complete a pharmacy-related research project and be able to tailor your study to particular areas of interest when you select from a range of electives. In addition, you will have the opportunity to gain practical industry experience when you complete a field placement or an industry-focused research project under the supervision of an academic or staff member. For students commencing in the BACHELOR OF PHARMACEUTICAL SCIENCE, please refer to the IBPA program home page for the first and second year courses. For students commencing in the BACHELOR OF PHARMACY, please refer to the IBPH program home page for the first and second year courses. 1. All students in the Division of Health Sciences who, as part of their program, undertake activities where interaction with patients/the public is required, such as in field or clinical placements/visits and in University clinics and gyms, must demonstrate that they have a current National Police Certificate (NPC) through SAPOL (or their home state police service) and a current Department for Communities and Social Inclusion (DCSI) Child-Related Clearance, which is valid for the duration of the program. The National Police Certificate will list disclosable court outcomes that may prevent clinical placement involvement. The University has a process for reviewing these outcomes to assess suitability for placement. 2. Student registration with the relevant board of the Australian Health Practitioner Regulation Agency (AHPRA) is required in order to study this program. Students who do not meet registration criteria and are refused registration by AHPRA, or who have their registration rescinded during the program, will be unable to continue in the program. Further information will be provided by the University with offer letters. 3. Students are required to satisfy the standards of dress and behaviour prescribed by institutions and facilities in which clinical or field placements are undertaken. Failure to satisfy such requirements may prevent them satisfying the requirements for completion of the program. 1. Students are advised that they may be required to spend at least one clinical or field placement outside Adelaide. 2. Students are required to undertake professional placements in registered pharmacies or accredited institutions and some of these placements may be held outside the normal teaching weeks of the University. 3. Students are strongly encouraged to study full-time. Students seeking part-time study must discuss this with the Program Director prior to enrolment. Part-time students are normally expected to complete the program in eight years or less. 4. Electives must be chosen from Groups 1 - 3 (listed). Students may choose elective courses from any of those listed in the groups but are advised that electives may be affected by timetabling or pre-requisites, and may only be offered if there is sufficient demand. 5. Students may choose elective courses from any of those listed in the Groups but are advised that electives may be affected by timetabling or pre-requisites, and may only be offered if there is sufficient demand. 6. In consultation with the Program Director, students will choose one 4.5 optional course from the range of University electives or from other available courses. 7. This course contributes towards the honours grade for the program. This double degree provides you with an edge – on graduation you will possess an in-depth understanding of all aspects of the pharmaceutical industry, from drug discovery and development to commercialisation, marketing, product management and the distribution of medicines. This advanced, broad knowledge means you are well placed to gain employment in a wide range of exciting roles, from drug development and clinical trials, to a professional career in community, hospital or industrial pharmacies. You may also have the opportunity to gain valuable International industry experience, through study tours or overseas placements in countries like the Philippines and China. UniSA also has strong industry connections, experienced staff and links with several internationally-renowned research groups, the UniSA Cancer Research Institute and Centre for Cancer Biology. Health research at UniSA brings together internationally recognised academics in the areas of cancer, pharmaceuticals, clinical neuroscience and mental health, healthy lifestyles, population health, and Aboriginal health. You will have the opportunity to be involved in these areas of research, work closely with industry professionals and gain valuable practical experience. You will also have the opportunity to complete some of your learning in our on-campus, purpose-built pharmacy laboratory. There is a pharmacy practice suite where you can practice vital communication skills needed when dealing with patients. Cameras and recording equipment are used so that you can review and improve your skills. Our affiliation with several internationally-renowned research groups, the UniSA Cancer Research Institute and Centre for Cancer Biology provide you with valuable networking opportunities and industry contacts. Dr Jacinta Johnson is a UniSA Lecturer and Pharmacy graduate who was the recipient of the 2018 Early Career Pharmacist award. Video courtesy of the PSA Excellence Awards 2018, sponsored by Symbion. Graduates of this degree are well positioned to pursue full-time employment. With new drug developments and enhanced therapeutic developments, pharmacists and pharmaceutical scientists have more career options than ever before. In fact, the long-term job prospects in this field is expected to experience very strong growth1, which is great news for graduates. To be successful you will need to be meticulous, accurate and results-driven. You may be dealing directly with patients, so exceptional communication skills are also vital. The program is accredited with the Australian Pharmacy Council. Successful completion of the program satisfies the academic requirements for registration as a pharmacist with the Pharmacy Board of Australia. 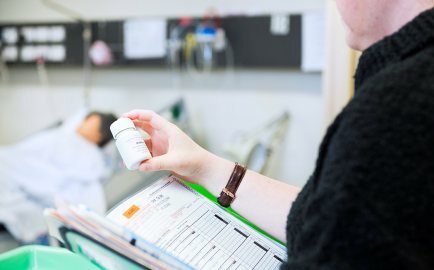 Eligibility for registration is determined by the Pharmacy Board of Australia and includes a suitably recognised and appropriate period of supervised training. Employment for pharmacy sales assistants in Australia is projected to increase by 8,300 (20.4 per cent) by November 20201. This double degree is only available to students studying the Bachelor of Pharmaceutical Science or Bachelor of Pharmacy (Honours) who have met the grade point average (GPA) requirements and have been made an offer into the degree. I am a passionate chemistry and pharmaceutical science educator who has been undertaking teaching and research at UniSA since 2008, becoming Program Director in 2017. The double degree is an excellent opportunity to broaden career options to both pharmacy and pharmaceutical science, giving students the best of both worlds.